Manufacturer of a wide range of products which include automatic flour mill, impact type gram flour mill, circular flour sieving machine, spice powder sieving machine, semi automatic flour mill machine and atta chakki plant. High efficiency, ingenious design, durable and suitable for screening any kinds of powder and viscous fluid. Small size and can be moved easily. The screen nets are uniquely designed under 500 mesh, and the net. Stainless steel parts contacting materials. Easy to operate, impurities and course materials can be discharged automatically, continuous operations. 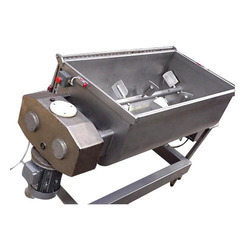 Powder Sieving Machine is designed to simply remove fines or oversized contamination. In addition, it is also used to attain highly accurate product fractions with its matchless screening efficiency. This high performing machine is designed for precise grading or sizing of wet a well as dry applications. It ensures to deliver high throughput rates along with better accuracy. It can be availed in a range of sizes up to 60 in optimum stainless-steel contact parts to ensure to enhance the efficacy of different business operations. 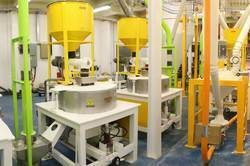 Moreover, it is sure to deliver 50% more screening, grading or separation with the full material flow on sieve decks. 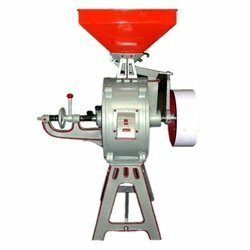 From the years of commencement, we are engaged in offering a huge assortment of quality approvedSemi Automatic Flour Mill. This Atta Chakki is known for its excellent quality and is developed using advanced technology. This product range is offered in best finishing to our clients. It is perfect for designing and well tested on different quality parameters. Our product range is in huge demand among our clients. To add on, we are offering this product at the cost-effective price. We use highly advanced techniques for the processing of our product range. 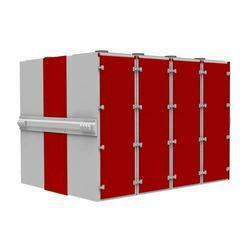 These rotating vibrating screens are durable use, easy maintenance, high capability. 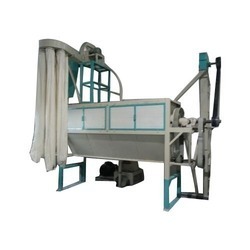 Our rotating and vibrating screens are the most versatile machine in many industries like Food Industry: Ground powders, spice powders, Sugar, Salt, Alkali, sodium glutamate (MSG) Glutamate, Starch, Powdered Milk, Yeast, and Fruit Juice. Chemical Industry: Resin, Pigment, Medicine, Grease, Extinction agent, Rubber and plastic. Abrasive, Glass and Ceramic Industry: Silicone Sand, Aluminum Oxide, Grinding Abrasive, Glass dust, and fire-proof material. Papermaking Industry: Coated slurry, black and white liquor, padding fluid, waste liquid, and wastewater recycling. Mechanical Industry: Casing Sand, Powder metallurgy, Electromagnetism material, Aluminum Powder, Metal Powder, and Alloy. Others: Carbon Black, Activated Carbon and pearl. Vibro screens are designed on the principle of gyratory motion generated by double eccentric weight mounted on two ends of the shaft of vertically mounted specially designed vibratory motor. The screening assembly consisting of one or more set of deck/screens is mounted on a set of angularly located springs, effectively isolating the base from vibrating assembly. The double weight moving with the shafts and located at relative angular position produces three-dimensional vibrations which in turn cause the material falling on the screen mesh move at a specific speed in straight to spiral direction giving controlled and effective screening. Due to the adjustability of weight and the relative angle between them, it is possible to make the material move on the screen in the desired path to achieve the desired retention time for effective screening before the material gets discharged from the outlet spout. During this process, the particles smaller than the mesh aperture fall through the mesh and the oversize material gets discharged from the outlet spout. This process is repeated on the next mesh in case of multi-deck screening. 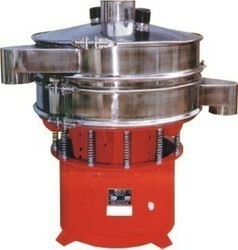 This machine is used for chana dal grinding. 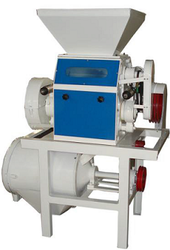 We are engaged in manufacturing Industrial Flour Mill Plant for our esteemed customers. Designed by experts, these machines deliver optimally in terms of quality and performance. We procure premium quality mild steel from established vendors for manufacturing these machines. Their high capacity makes them highly demanded in the market. Customers can avail these machines at competitive prices. 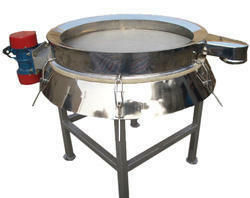 We are leading manufacturer of Vibratory Sieve and our product is made up of good quality. Compacted and robust structure, high mechanical strength. Lower noise, lower power consumption. Stable movement, well-cleaning effect, higher production efficiency. Driven by vibrating force, vibrating direction and inclination of sieve cover can be adjusted according to the requirement. 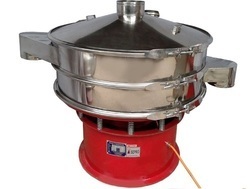 Effectively prevent blockage of the sieve holes from rice. Chaff is sucked by the vertical air sucker to reduce a temperature of rice. 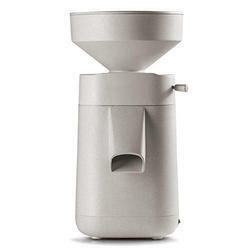 To Grind Wheat in to Flour it can also process corn, rice, millet, beans and other grain. 2 H.P 3 H.P. 3 H.P. 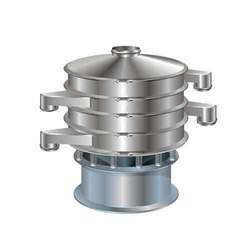 Plan Sifter For Flour Mill classifier to classify and bolting the grain flour. The weld of base plate ,roof plate and the square tube is socket overlap welding joint ,which is more inaccuracy and stable Straining box is much higher than ordinary one ,which can use the space more efficiency The door sealing is flat sealing which and avoided the material leak Special sealing way inside the box ,avoid the flour over crossing. 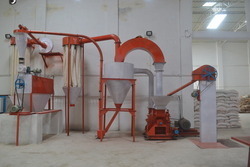 We PVG make Fully Automatic Mini Flour Mill Plant for our revered customers. 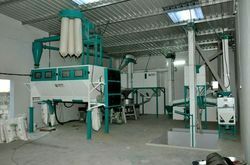 The offered plant can be installed with ease and provides optimal performance to the customers. These plants can be easily operated and generate minimal noise while functioning. 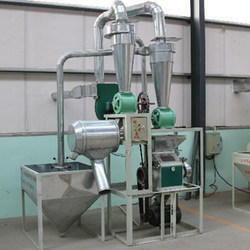 Owing to their efficiency, these plants are widely recognized by the customers. Customers can avail these from us at market leading prices.